Not only will you find Toyota models at our dealership, serving the greater Springfield, VA area, you'll also find a friendly and accommodating staff eager to assist you. That's true no matter what you're looking for - be it a test drive in a new Toyota or used car, auto financing options, car service appointments, or help figuring out what auto part you might need. People wishing to upgrade to a new Toyota are invited to visit our showroom and take a test drive today. We have a model for every driving style: eco-friendly, fast-and-furious, slow-and-steady, safety-conscious. Of course, a new car might not be in the cards for everyone at this very moment. That's why Lustine Toyota also makes sure to carry a wide range of used cars to choose from as well. Thoroughly inspected for quality and integrity, you can be sure that each one meets our incredibly high standards for excellence. Why should you expect anything less? Looking to find out more? 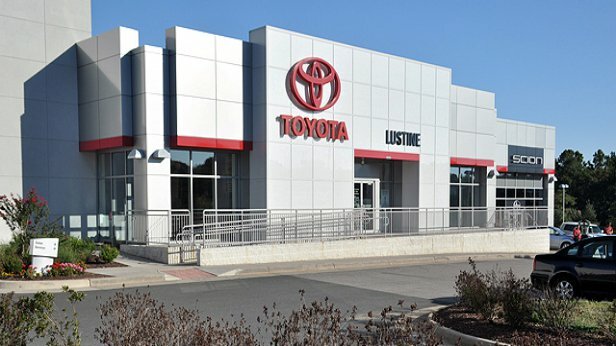 We invite you to stop in and see us at Lustine Toyota, where we can keep the conversation going. We can be reached in a variety of ways; either over the phone, through our website, or of course, in person. Our team has served many drivers in greater Springfield area and we strive to give you the most enjoyable experience possible. Feel free to swing by during regular business hours, and we can get the ball rolling and discuss all your car options. Use our interactive directions form below for turn-by-turn navigation to our dealership near Springfield.